PYONGYANG, March 15. /TASS/. The North Korean leadership is considering suspension of denuclearization talks with the United States, North Korea’s Deputy Foreign Minister Choe Son Hui told reporters on Friday. "We have no intention to yield to the US demands [put forward at the Hanoi summit] in any form, nor are we willing to engage in negotiations of this kind," she told reporters at a news conference in Pyongyang, to which foreign diplomats and journalists were invited. The deputy foreign minister blamed the breakdown of talks in Hanoi on the US side, who "were too busy with pursuing their own political interests and had no sincere intention to achieve a result." She also said that during an extended meeting, US Secretary of State Michael Pompeo and US National Security Adviser John Bolton "created the atmosphere of hostility and mistrust and, therefore, obstructed the constructive effort for negotiations between the supreme leaders of North Korea and the United States." "As a result, the summit ended with no significant result," the North Korean diplomat said. 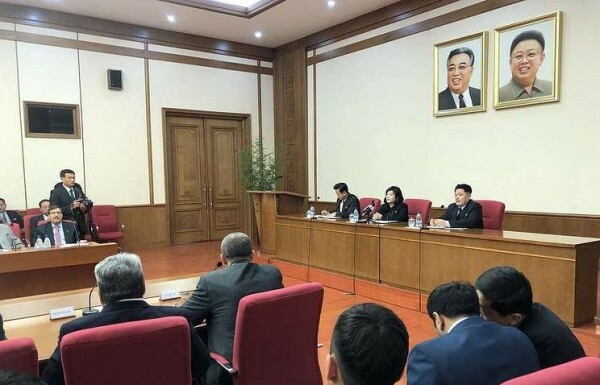 According to the deputy minister, North Korean leader Kim Jong Un is set to make an official statement soon to announce his country’s further actions in the wake of the unsuccessful Hanoi summit. It was the first statement by a senior North Korean official to comment on the results of the February 27-28 talks between Kim and US President Donald Trump in the Vietnamese capital of Hanoi. After a series of meetings, including face-to-face ones, the two leaders announced they would not sign a joint document. Earlier, North Korean media said that although the summit produced no tangible result, the leaders agreed to continue their dialogue.